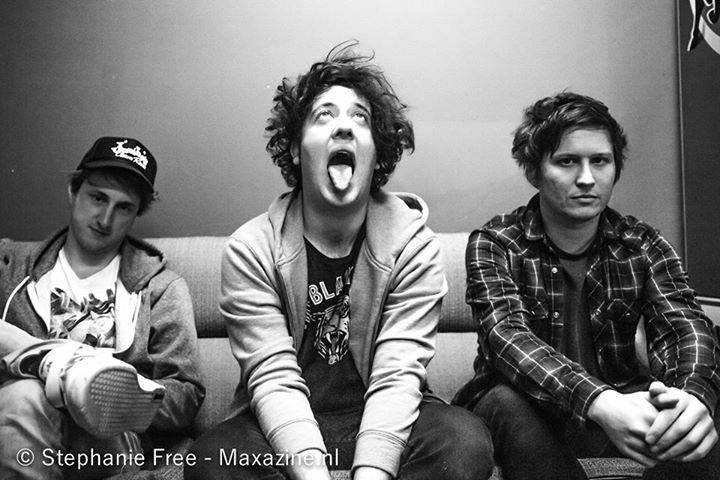 Several weeks age the Wombats did an awesome show in de Melkweg in Amsterdam, the Netherlands. Anders gave the people aan little taste of the new record ‘Glitterbug’ that will ben released next week. In the afternoon Maxazine had an appointment with the lads about this record. As soon as we enter the dressingroom all the tension slips away. The vibe is open, relaxed and comfortable. Because Matthew “Murph” Murphy needs vocal rest the other two bandmembers do the interview. The band is very happy with the new record. The collaboration with Marc Crew was, despite the fact that they didn’t know his work with Bastille, very pleasant. “It coudn’t have gone any beter. It’s always a gamble with producers, but we got along fine” says Dan. The band and producer had an similar vision of how the album was going to sound like. With experimenting and getting out of their comfortzone it turned out to be als wonderful record. Marc Crew was happy with the fact that they didn’t know his work with Bastille. He is a very versatile producer that does a lot of different genres, somebody dat doesn’t want to be put in a box. 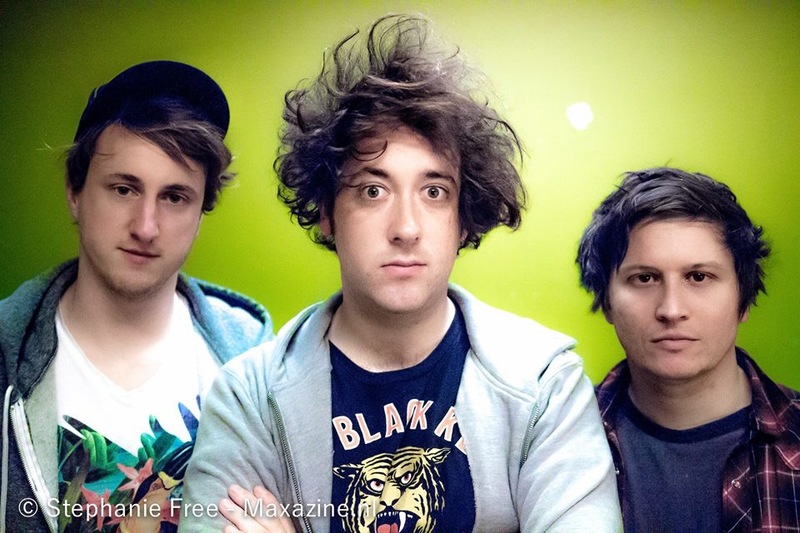 Just like the Wombats who all have sideprojects in different genres. Where some hear the Bastille sound they actually hear the influence of Marc. The way the band worked on this record is also something quite different. Murph did some of the time writing in London and some in Los Angeles while Dan and Tord where back in Liverpool working on the sound. Instead of rushing the record they choose to work on one song at a time that could take maybe a week or longer. This way of working did mean that it took a year and a half to finish the record. “sometimes we were playing with an idea for weeks” explaines Dan. “We had the intro for ‘Greek Tragedy’ but it took us six months before we continued with the rest of the song. We didn’t want to rush the process. We had 42 songs but not everything felt right so we just stopt working on it. It’s no use working on something that won’t work. 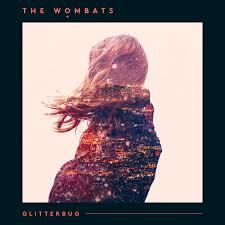 Friends and family were fortunate enough to hear ‘Glitterbug’ before the release date. Tord is joking that they love everything. Dan is a little bit more serious and says that friends listen to the tracks, think about it and say a week later that they really love a track.”The first single ‘Your Body Is A Weapon’ was released in 2013 and not to fill in a gap between records. De record company was so excited about the track that they wanted to release it eventhough it was only an unfinished demo. But the gentlemen are now happy with it. “It is good that the people know a new song of the album and now it feels more like an oldie.” says Tord. Dan: If it could we would release the album now.” “It is nerve wrecking to play new songs. The old ones we have in our bones.” says Tord on which Dan continues “It is the reaction of the people. First they are dancing to an old song and when we go to a new song they stop, stand still, listen to it and in the end they are dancing again. We are really lucky with our fans. Genuinely nice people come to our shows. There is no one going ‘Ooh you should play this song!’ they know before they come to a new song that they’re not going to dance all the time” explaines Dan. Dan likes ‘Emoticons’ the most to play live. “It is the feeling of it, it feels so different. It is melodic, a little disco, little 70’s but with a hardhitting grunge elements. It really feels nice to play live. For Tord it is ‘Headspace’ that he likes the most. “It gives me the feeling like I’m in an 80’s band” and he makes a face like he is playing in a garage band. Most of the fans have seen the ‘Greek Tragedy’ video in which a woman is stalking the men. Kill them and are hung up like puppets to do a horrid private gig for her. One could emagine that this isn’t a pretty sight for their mothers. But it was the idea of the director to make it feel like a real Greek tragedy. During Record Store Day on April 18th this song will be released in four version on colored vynil. To the last question if they rather play big festivals or in small venues Tord says “We put our gamefan on regardless.” And after a few jokes he elaborates further on it. “You communicate with the people in a different way. In smaller venues you get the feeling that you get to know the personen. On festivals it is just a big crowd. It is overwhelming and amazing to play on big festivals, but the interactief with the people in smaller venues is also nice. We like both. There has to be a balance, when we do a lot of festivals we want to do smaller and when we do smaller we want to do bigger”.